Vitamin E is a miracle for the overall health. It is the most beneficial vitamin for your hair and skin. Vitamin E is a group of fat-soluble antioxidants that rejuvenate your health and beauty as well. It promotes blood circulation, boosts the immune system, keeps your heart healthy and also protects you against cancer. Some dry fruits, nuts eggs and oils like olive oil & coconut oil contain a high amount of vitamin E.
Note: This post contains affiliate links and I will be compensated if you make a purchase after clicking on those links. 1. Activate Hair Growth: Vitamin E has antioxidant properties that help to repair the damaged hair and promote hair growth. It also deeply condition the hair from root to ends to make it healthier. 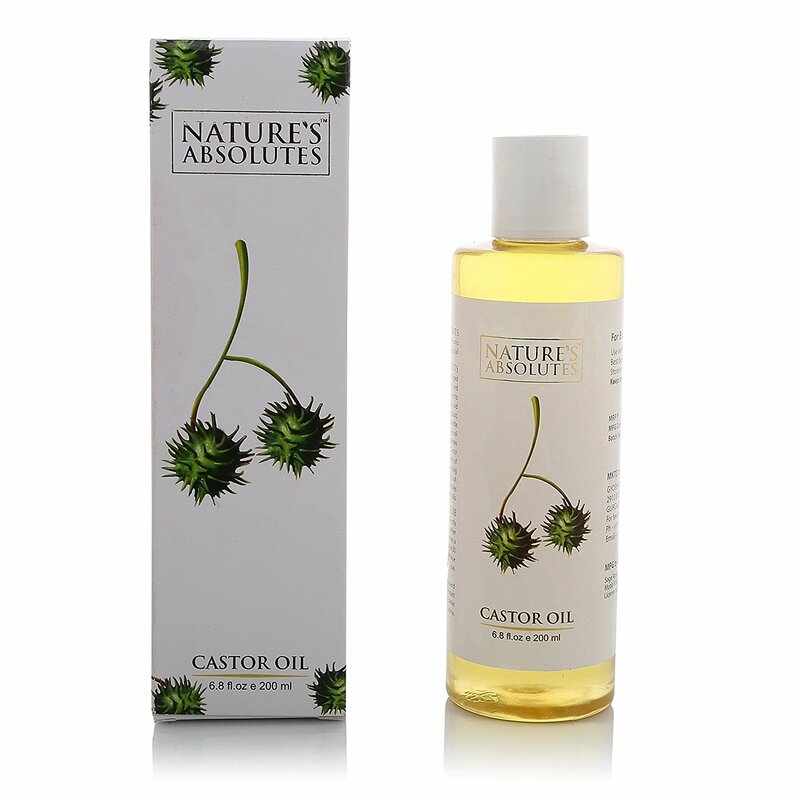 Mix liquid from 2 to 3 vitamin e capsules in 4-5 tablespoon of castor oil. Apply it on your scalp and massage with your fingertips. Keep it on your hair for at least two hours. Then wash your hair as usual. Repeat this procedure once a week. 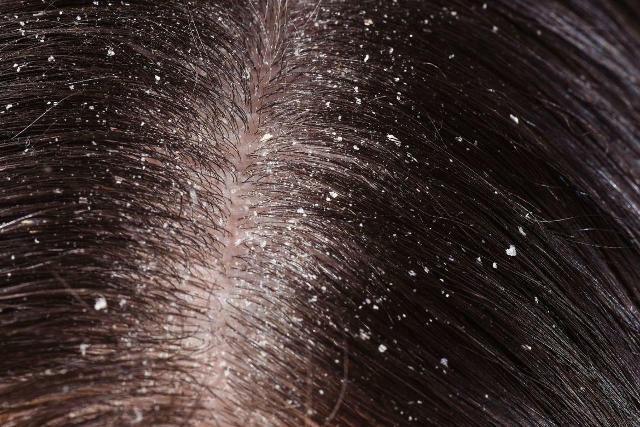 you can also massage your scalp with coconut oil which is rich in vitamin E.
2. 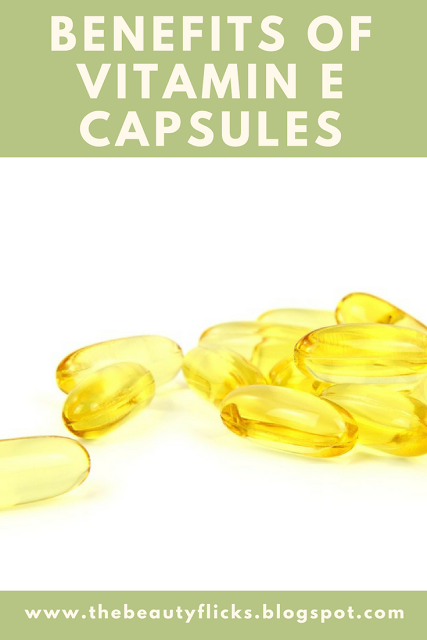 Lighten scars and blemishes: Another beauty benefit of vitamin E capsule is that it helps to fade scars and blemishes that are not too old ( mean to say it does not work on the scars that are 10 years old ). In addition, it keeps the skin hydrated and repair the damaged tissues. Extract oil from vitamin E capsules and massage your face with this oil for minimum 10 minutes. Keep this oil on your face for at least 30 minutes. Rinse it off with warm water. Take Vitamin E oil from two capsules and mix it with four tablespoons of Aloe Vera gel. Apply it on your face before going to bed. Keep it overnight. Buy Aloe Vera gel here. 3. Cure Skin Hyper-pigmentation: Hyper-pigmentation causes uneven skin and dark patches on any part of the body. It is caused by harmful and harsh ultraviolet (UV) rays of the sun. Vitamin E can reverse the effect of UV rays. Simply apply vitamin E oil on the affected part of your body and massage for 10 to 15 minutes daily for a few weeks to reduce hyper-pigmentation. Mix content of one vitamin E capsule with one tablespoon of castor oil. Apply this mixture on the affected area before going to bed and leave it overnight. Rinse it off on next morning. If you have oily skin then don't keep it overnight, just leave it for 30 to 60 minute. 4. Treats stretch Marks: Stretch marks can occur because of pregnancy or sudden weight loss. Vitamin E capsules can be used to erase those stretch marks. It has powerful anti-oxidant properties that protect collagen fibers in the skin from free radical damage. Mix oil from 2 to 3 vitamin E capsules with 1 tablespoon of lemon juice. Massage this mixture gently on the stretch marks. Leave it for half an hour wash it with warm water. Do this daily for a few months. 5. Repair Split Ends: Split ends can be sealed by using serum made with vitamin E.
Take one-quarter cup of castor oil,3 tablespoons of vitamin E oil, 4-5 drops of rose essential oil. Mix all these three ingredients. Apply this oil on your wet hair. This serum deeply moisturizes the hair and repair split ends.